Review the backstory of each photo session. Learn about the subjects and location as well as the process behind capturing compelling images. The brand new Humanities Building, centrally located on the San Marcos campus is a 90,000-square-foot, three-story building housing the following disciplines: English/Humanities, English as a Second Language, Reading, Speech/Forensics/American Sign Language, World Languages and Journalism. 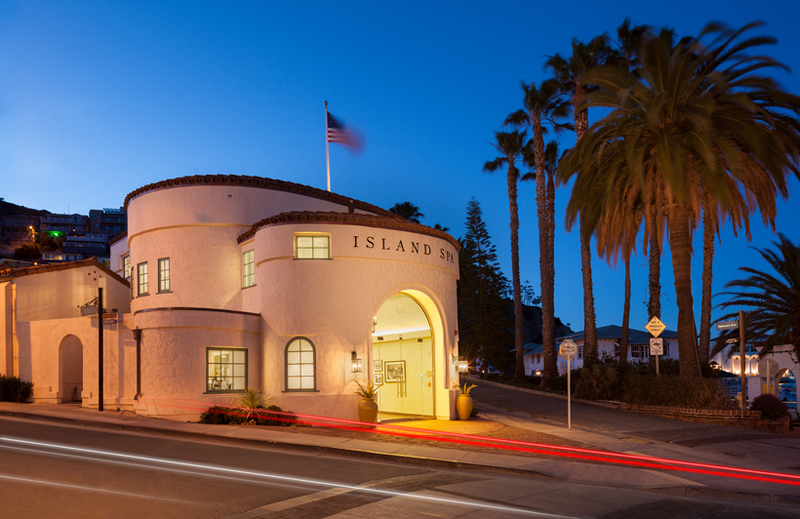 The Island Company has launched Catalina Island’s first-ever destination resort spa. Reflecting Catalina Island’s rich history and relaxed seaside vibe, Island Spa Catalina offers a variety of thoughtfully selected treatments and rejuvenating therapies with intrinsic island botanicals. Located inside the historical El Encanto building, the Spa features 15,000 square feet of indoor bliss and includes a variety of outdoor experiential spaces including luxurious lounges, a soaking pool and the vista deck. The Spa features nine treatment rooms, dry saunas, wet steam rooms, a nail studio, blow dry bar, the Spa Shoppe, Encanto Café and quiet spaces thoughtfully designed to be suitable for all seasons. There isn’t a more preeminent figure among famous photographers in the history of the field than Ansel Adams. From dedicated professional photographers to casual photography aficionados to ordinary people, just about everyone has seen and admired the astounding portfolio of this world-renowned artist. Adams has achieved iconic status based on his signature black and white landscapes that seem to uniquely capture the environment in ways most other professional photographers struggle to duplicate. Ansel Adams often dominates the conversation of famous photographers due to his ability to affect the contemporary medium decades after his death in 1984. While most people associate Adams with black and white landscape shots, Adams did work with both color prints as well as portraits and architecture. His affinity with black and white images was by design rather than a factor of the era of his most prolific work. Color, to Ansel Adams, could serve as a distraction from the meaning of the shot. To him, limiting the prints to black and white meant that he was free to use large format cameras to produce high resolution images with grandeur and sharpness that color often made more elusive to portray. Shulman was an accomplished architectural photographer from whom I obviously draw a great deal of inspiration. Not only am I drawn to his style and favorite choice of subjects, his California roots allow me to occasionally imagine how he viewed the very same landscape and sky patterns that I capture in my own photos today while pondering how he’d interpret the scene for the best shot possible. One particular way I aim to emulate the genius of Julius Schulman and honor him among the most famous photographers in history is in the way he appreciated and put to great use the natural landscape surrounding his architectural targets. You can quickly tell from my work that I value the opportunity to frame each structure with the ambient terrain and sky. The photographs I’m most proud of are those that accentuate the architecture by utilizing the natural light and surrounding features to give each image a character all its own. A point of great concern for me, and an emphasis that Julius Schulman paid particular attention to, are the ways in which an architectural work of art fits within the landscape it’s built. Capturing this relationship is important to telling the full story of the subject and gives depth to the scene that would otherwise be left untold and unexamined by focusing too heavily on the steel and stone of the buildings alone. What is ISO? One of the most frequent questions I get about taking quality photographs revolves around ISO. Experienced photographers know all about ISO and its importance in capturing high quality shots while newer shooters might not understand just how important this factor is in producing the best photos possible. To explain what is ISO and why it’s so important it’s best to first fully understand its definition and how it relates to your camera’s ability. A lot of photographers assume "ISO" is an acronym, and various online resources may even tell you that it stands for "International Standards Organization." But the truth is that it isn't an acronym and there is no organization by that name! It’s a setting on your DSLR camera that regulates shutter speed and affects the quality of your images in ways we’ll discuss in just a moment. Your camera’s ISO setting is adjustable and can be switched from a base ISO to a higher range depending on your preference for a given shot. Adjusting the ISO setting will determine how the image sensor within your camera performs. Understanding how to choose an ISO setting will be critical to taking the best photographs. First, your camera’s image sensor is the most important feature of all. Image sensors are what determines the quality of the photographs you are able to take using your camera. The best way to evaluate a camera’s capability heavily surrounds the quality and capability of its image sensor. Keep in mind, the camera’s image sensor has one job: to capture the light necessary to produce the clearest image possible. Less capable image sensors will struggle to produce clean, crisp photographs while better image sensors will excel at producing high quality shots especially in low-light conditions. The critical trait of an image sensor is time. The amount of time necessary to gather enough light to produce a quality image is what separates an average image sensor from an extraordinary one. Similarly, setting your ISO properly can make the difference between getting the perfect shot or one that is awash with noise and motion blur. ISO settings range from low (100-200) to quite high (1600 and above) and as you increase the ISO setting you increase the image sensor’s sensitivity to light. So, which ISO setting is best for you? The answer depends on a few conditions. Lower ISO settings reduce your ability to capture sharp images of moving objects or targets in low light without the use of a tripod. The reason is the sensor is less sensitive to the light available and therefore has to keep the shutter open for a relatively longer period of time in order to gather more light. The result can be a blurred image if the photographer or the subject of the shot moves. A higher ISO setting will allow for taking photos of moving objects but the quicker shutter speed doesn’t allow the sensor the advantage of gathering enough light for a decent photo. Of course, the quality of the image sensor in your camera will determine how much of a trade-off you will make in choosing among your ISO settings. Better image sensors will be able to both capture the necessary light for crisp low-light images while reducing motion blur if you or the subject are in motion. Another crucial concern for setting your ISO to the optimal setting is image noise. Noise is a characteristic of an image that makes the photo appear grainy. That grainy look is due to the increased sensitivity to light of a higher ISO setting. The concern for image noise means that you cannot simply set your ISO to the highest setting and hope to capture the best photographs possible. The challenge is to use a DSLR with a quality image sensor and take photographs using an ISO setting that both captures enough light to produce a worthy image and reduces or eliminates the grainy or noisy result you hope to avoid. You can usually rest with choosing the base ISO for your camera. This setting will produce rich colors and sharp images in most controlled conditions. When shooting a subject that is fast-moving or in low light without the aid of flash, a higher ISO setting would help in producing a winning shot. St. Charles Cancer Center is a new 6,000 square-foot facility located in Bend, Oregon. Designed from the ground up with patient, family, staff and community input, it’s focus is on taking a patient-centric approach to treatment with everything – from oncology and radiology to “patient navigation” support and evidence-based complementary therapies – housed under one roof. The Vancouver Community Library is a library in Vancouver, Washington, in the United States. Part of the Fort Vancouver Regional Library District, the 83,000-square-foot library is the second largest in the Portland metropolitan area, second to the Central Library in Portland, Oregon. On fortunate occasions I’m able to shoot a structure that is brand new. The benefits of photographing newly completed projects include a chance to capture the raw vision of the builders before employees and other occupants are able to settle in. This gives me a level of access that will likely never again be available. The East Valley Water District broke ground on their new headquarters facility in the late-summer of 2013. As of March 2014, the structure is all but completed and will complete an effort on the part of the water authority to consolidate the functions of the headquarters from three separate locations down to just one. The East Valley Water District Headquarters sits on a 22-acre plot amidst a comfortable valley at the foot of rolling mountains in Highland, California. The wide-open space gave designers the ability to choose an orientation and precise location to complement the structure and make for the most functional plan possible. Outside the facility rests pristine landscaping that incorporates pale stones and lush reddish-brown mulch in free-form plots, dotted with freshly planted shrubbery just beginning to sprout from the soil beneath. You can imagine the scenery in a few short months as the warm California sun grows the plant-life to add brilliant green accents to the structure and the landscape found just outside the doors of the headquarters. The outside of the building signals a modern approach to the structure design, with cement support beams stretching vertically to support the long stretches of roof, giving way to auburn poles to hold the building’s skeleton firmly in place. Wood panels adorn the outer walls with breaks for windows framed in brown beams that compete the earth-tone rich outer color scheme. A step inside the headquarters continues the modern and aforementioned crisp feel of new construction. Already the office spaces are aglow with the ample lighting schemes throughout the building. Some cubicles sit toward the middle of the floor plan and offer those who will call the office spaces home a chance at a personal slice of the office to call their own. The brown hues that pop on the outer walls is carried inside to accent the cubicles, cabinetry, and doors. The off-white wall painting softens the mood while the aluminum window frames separate the panes of glass with a professional yet modern appeal. Frosted glass is strategically set in some of the office window frames to allow for shared lighting while maintaining a modest amount of privacy for the soon-to-be convening water authority employees and guests. The light abstract flooring choices are just the right touch to off-set the bolder colors of the doors and cabinets around the office. The overall look of the office promises to provide the staff with a spacious and functional space in which to conduct their various duties while offering purposefully artistic elements that give the headquarters a modern and inviting feel. As a professional architectural photographer in California, I am often able to showcase structures that serve a worthy purpose to the community while serving the area with stunning architecture and interior design. Many of the locations I’ve been afforded the opportunity to shoot offer a wealth of meaningful art as well as meaningful missions. The Palomar College Teaching & Learning Center is yet another venue where I am able to illuminate a site that accomplishes the task of serving the public good while providing breathtaking elements of artistic design. The Palomar College Teaching & Learning Center is located in Escondido, CA and sits perfectly within the campus of Palomar College. The Teaching and Learning Center combines several essential functions of the college in delivering ample means for students and faculty to collaborate for an effective and innovative instructional strategy. Among the abilities afforded by the design of the campus include a vast centralized meeting space where students and instructors are able to gather for a litany of instructional purposes. The structural key to this space is the open style that invites an unobstructed landscape where information is easily and comfortably communicated in a warm and relaxing manner. You can see how this level of comfort is conducive to an environment where learning becomes easier and student and faculty goals are easily pursued. Outside, the scene of the main facility rests beautifully within the natural landscape. California’s renowned sunny weather allows for natural light to accentuate the nuances of the architecture. The asymmetrical lines of the Teaching and Learning Center provides a unique and invigorating appeal that adds to this uncommon balance of form and function. As with all of the projects I pursue as a professional architectural photographer, capturing the various facets of the building required that I first view the structure and its surroundings from all angles to really appreciate the overall vision. It is this preparation that allowed me to find the right angles, under the optimum lighting conditions to convey the very best images possible. Located just off of the Ontario Freeway in Rancho Cucamonga, Fleming’s Prime Steakhouse is one of the premier eateries in the area. With a menu that features exciting and unique choices as well as well-prepared American cuisine staples, Fleming’s succeeds in providing a quality dining experience including great food and picturesque interior design. My tenure as a professional interior design photographer has often taken me into some of the most exquisite restaurants in California. Each time I am drawn into the experience of a casual patron and I am able to feel what it is like for a first time visitor and what attributes work to turn first-timers into repeat customers. Inside Fleming’s Prime Steakhouse it is easy to see what draws hungry customers and exactly what keeps them coming back for more. While the menu and wine selections are certainly enough to draw in those with even the most discriminating palate, what sets this fine dining attraction apart are the design accents and theme that provides the overall inviting atmosphere. The building occupies a corner space and the interior design strategy takes full advantage of that feature. None of the dining areas feel cramped yet with a comfortable amount of space; the interior seems to flow naturally without feeling airy or impersonal. Patrons are greeted to wood tones throughout and a dining table arrangement that is as suited for an intimate dinner or a lively gathering of parties several diners deep. One of the most important features for a professional interior design photographer is the ways in which the scheming of the interior facets of the subject work with each other. At times there appears to be a lack of a consistent theme which can lead to a disjointed and ill-flowing interior design overall. At Fleming’s, the strategy is quite clear. The design of the dining area and wine bar succeeds is crafting an environment that takes advantage of the space in delivering a comforting setting without wasting space or adding design features that serve little purpose. One of the most satisfying parts of restaurant photography is the sheer number of interesting subjects to shoot. The ENO Wine Bar is one such place where there are a bounty of features that beg to be captured in print. I recently had the privilege of photographing the ENO Wine Bar where I was able to find all sorts of ways in which the bar stands out as a truly remarkable establishment. The planning stages of any photo session involves scouting the location to uncover ideas for the final shoot. When I visited ENO, I was immediately struck by the interior design that blends a warm and inviting atmosphere with a high-quality feel that is sure to please patrons. Some of the features that caught my eye included the string of stone wall treatments that hung from the ceilings. Touches like these decorations really showcase an attention to detail that was seen throughout the building. Other features that are sure to be the topic of conversation for wine aficionados were the uniquely shaped stemware and how the light wood of the tables presented the perfect canvas to display the deep reds and sparkling blondes of the wide array of wine selections. The fireplaces and stainless fixtures were subtle touches that spoke to ENO’s high-class environment and the various cushioned seating were evidence that the designers intended visitors to be comfortable as they sampled the vino. Having a wine bar so closed to California’s wine country demands that the experience be a unique one. ENO Wine Bar begins to differentiate itself from the pack of other wine bars with strikingly golden doorways that really stand out amidst the assortment of shops near Union Square. Being involved with restaurant photography, one becomes accustomed to used to seeing a wide range of retail and restaurant establishments, the detail of ENO is important in creating a different vibe and one that is sure to attract those who favor great wine as well as interesting and eclectic interior design. San Diego architectural building photographer, Emil Kara recently photographed The North City Campus - a new, two-story, 42,000-square-foot facility located in San Diego, California. It is designated as the Campus of Excellence for Multimedia and Innovation for San Diego Continuing Education. The new facility includes general classroom space, computer labs, multipurpose space, and administrative offices to support the business technology curriculum. The building has been designated as “The Center for Technological Excellence” at SDCCD and is targeting LEED® Platinum. Sustainability is incorporated into the overall design with features such as an open air courtyard that provides day lighting and natural ventilation opportunities to the majority of interior spaces. Other areas of focus include energy and water use reduction, and storm water retention for landscape irrigation. The North City Campus manages to take the most cutting-edge ideas for efficiency and match it with forward-thinking design and construction. Most notably in the design choices for the builders and designers is the way the North City Campus is able to seamlessly blend the outside environment to the interior spaces of the structure. You’ll notice in several areas of the building how the outside is brought inside. Some of the usable spaces are so mindful of the outdoors that it isn’t clear which parts of the building are considered indoors and which are decidedly outdoors – a benefit of the moderate and comfortable weather that only Southern California affords. The building photography shows a brilliant eye for capturing the unique design both as a structure able to accommodate study but also as a way for architecture to serve as a means of community art on a grand scale. Kara’s style of photography specifically frames the building’s interior space as well as the ways in which The North City Campus brings a vibrant and modern scene to the region. A recent apartment building photography assignment brought me to San Francisco. The Etta Luxury Apartment Building offers as much elegant residential living to the interior apartments as the outside view of the structure lends to the overall aesthetics of the community. Residents can be proud of their building as they approach and comfortable once inside. Shooting a high-rise apartment structure such as Etta is a particular challenge for a San Francisco architectural photographer. The challenges range from the lighting to that of getting the full measure of such a towering building. Lighting is a challenge due to the varying direction and effect of shadowing. Instead of fighting the natural shadows that are formed, getting the perfect shots takes accepting the challenge to find the angles to both capture the art of the design and the effect of the building’s construction. The outside of the Etta was photographed in the early evening. It was at this time that the sky was most cooperative and the darkening sky offered the chance to portray the indoor light shining through the windows of each apartment. From the inside, shooting during the day allowed for the sunlight outside to breath a soothing natural light into the residential spaces. The indoor images do a brilliant job of highlighting the diverse choices in materials used to decorate the common and private areas. The light wood floors, for example, are a bold choice but offer a clean palate for the residents to plan their personal choice of décor. In other areas inside the building darker flooring provides a more grounded and warm feeling that invites residents and visitors alike. Meeting the various challenges of a San Francisco architectural photographer was made easier with the benefit of experience. Having had the experience of different lighting schemes I was able to schedule the session to take advantage of the lighting conditions to deliver photos that do justice to the building’s many attributes. A San Francisco exterior architecture photographer, as you can imagine, has a wide range of subjects to photograph. Everything from the famous bridges and sports venues to private and public buildings on the hilly streets of the Bay Area neighborhoods; there is no shortage of suitable targets. For this session, I was able to showcase a structure that is not often thought of in the realm of architectural photography; the Tasman parking Structure. The Tasman Drive Parking Garage was designed by IPD Global, consists of a six-level, 1,812-stall parking structure located between the Santa Clara Golf & Tennis Club, Great America Parkway, the Convention Center Complex and the future site of the San Francisco 49ers Stadium. Adorned with a giant sign that declares the “City of Santa Clara,” the Tasman Parking Structure is set up to represent much more than simply a place for parking vehicles. This structure has been established as a fixture of the city and a marvel of its own in a city that is rich with strokes of design brilliance. Of course, the primary reason for existing is to provide a space to accommodate visitors who need to park their cars. Instead of being tied to a rigid design, the designers of the Tasman Parking structure used the opportunity to create a structure that lends beauty and interesting construction to the area. The outside of the structure allows passers-by the chance to see a unique flavor from each viewing angle. On one side the mesh fencing serves a practical purpose while inviting a viewpoint into the parking area from the street and beyond. On another side, the entrances are asymmetrical to break up the monotony that might be found on other parking lots in other less-interesting parts of the country. As often is the case as a San Francisco architectural photographer, I am privileged to have the kind of buildings that are created for more than just their utility but as a means for defining the community with a sense of artistry. Taking a step away from commercial properties and public structures, I recently had the pleasure of capturing an interesting residential photography project, Mark Loretta’s private home. Mark is a retired Major League Baseball player who played for the Milwaukee Brewers, Houston Astros, San Diego Padres, Boston Red Sox and Los Angeles Dodgers. Mark’s 8,000 square foot home is located in the ultra-upscale community of Rancho Santa Fe (San Diego, California). With an estimated median income of $189,000, it is on the list of highest income communities and has the fourteenth most expensive ZIP code in the United States (fourth most expensive in California). The client, PORTELLA, manufactures individually engineered, high-quality architectural steel doors and windows, contemporary metal doors, pivot doors, gates, railings, and hardware. All of these high-quality treatments were on stunning display in Mark’s home and shooting the property was a pleasure personally and professionally. Aside from the exquisite items supplied by PORTELLA, the grounds were full of features that were breathtaking to photograph. The property had as many stunning features inside as it did outside. Being a San Diego Architectural photographer and interior design photographer, being able to participate in a photo session like this allowed me to draw on my experiences as both. You’ll notice from the images that Loretta’s home had a wide range of design accents that provided continuity without being boring or repetitive. The outside tile was similar to the tone of the flooring inside the home and the furniture in the main areas inside the home complemented the seating in the outdoor areas. The structure itself combined a mix of warm wood and stone that was consistent in both the indoor space as well as the areas where Mark took advantage of the open air. Interior design photography often gives me a chance to showcase both indoor and outdoor features and mark Loretta’s home is a beautiful example of both. Roy Yamaguchi is a well-known chef who specializes in Hawaiian Fusion cuisine. After studying his culinary craft in New York City, Yamaguchi began an apprenticeship in Los Angeles before venturing out on his own with an array of eateries in Southern California. His story reminds me of my own journey from student to apprentice and eventually on my own as a San Diego architectural photographer. Roy Yamaguchi’s Pacific Rim Cuisine (formerly known as Roy’s) is a newly remodeled and upgraded Pacific Rim Cuisine restaurant located in San Diego’s prime location in UTC/La Jolla. Though Roy currently calls Hawaii his home, the Tokyo born chef still maintains his signature restaurant in La Jolla where some of the finest Pacific Rim cuisine can be enjoyed by tourists and greater San Diego residents year-round. The shoot for the restaurant starts with the tropical scene outside. Palm trees and torch lighting set the mood for patrons as they enter the building. After entering the restaurant itself, diners are able to relax in a serene atmosphere of high-quality design. The lighting, for example, is shone through swirling fixtures that allow the light to dance across the ceilings in a unique display. Below, the booths against the wall are upholstered with dark leather to match the dark wood of the tables and chairs. The bar area borrows from the colors in the main dining area and adds lighter wood tables that match the wooden enclosures that house the wine racks. Seating is available to accommodate varying party sizes from the intimate two person dining group to a family or group gathering at longer tables. Being able to photograph the restaurant from all sorts of angles was a treat. While the restaurant was empty for my session, I was able to imagine the bustling staff serving a diverse assortment of clientele. The vast number of beautiful buildings in the area offers tons of opportunities for a Beverly Hills restaurant photography expert. Some of the retail establishments in greater Los Angeles provide me with a chance to step into a different sort of design and architecture that keeps my job exciting. Southern California-based Fleming’s Prime Steakhouse & Wine Bar is a world-class, critically acclaimed restaurant offering the best in steakhouse dining, aged beef, chops and fresh seafood. The high-end menu options are coupled with a unique wine list with more than 100 world-class wines served by the glass. The 7,200 square foot restaurant seats 250 guests and features a two story all-glass wine room, a second story mezzanine dining room and an exterior patio marked by a dramatic soaring floor-to-ceiling glass window allowing passers-by to view inside. Once inside, guests are treated to a dining experience that extends well-beyond the food and beverages. The dark wood and brick of Fleming’s Steakhouse signifies a sturdy design theme. Look at the bar area where the unique plan of seating and exposed pipe work in the rafters combines a rustic feel with a polished atmosphere. The main dining area carries the theme while adding the opportunity for patrons to have an intimate setting or substantial space for a larger party. I was particularly taken by the wine rack. The huge assortment of winery scales the height of the restaurant and sits visible through glass and wood displays. This format offered me the chance to capture the selection from different angels and do justice to just how expansive the collection is. Outside, Fleming’s sits comfortably on Olympic Blvd. just a stone’s throw from Staple’s Center. This section of town offers a variety of options for Los Angeles residents, visitors after a Lakers or Clippers game, and a Los Angeles architectural photographer hoping to capture it all. Being a professional Las Vegas interior photographer means that I get to take advantage of some of the interesting designs of some unique buildings of Las Vegas. The city is an internationally renowned major resort city known primarily for gambling, shopping, fine dining, and nightlife and is the leading financial and cultural center for Southern Nevada. I had the pleasure of photographing the newly opened Chloé Boutique inside one of my favorite hotels on the Las Vegas strip; the Wynn. Chloé is a French luxury brand devoted to casual wear for women. The boutique was a posh retail space that had all of the features of an upscale European shop. The lighting inside the space (crafted by Regency Lighting and Amerlux) was masterfully done. This crafty lighting made my job much easier, all I had to do was capture it. I didn’t have to augment the lighting as I usually do; it was already perfect as I found it. The shots I was able to produce were effective in showing the design of the store and how the designers used the simplicity of the color white to make the colorful displays of merchandise more vibrant. Even the more conservative browns and muted burgundy items seemed to jump out at the shoppers and made for truly stunning photographs. Oftentimes, the best way to make a bold statement is with understated or simple architecture and design. As an interior design photographer, I am routinely aware that sometimes the best way to create a splashy presentation is to keep the structure and design elegantly simple to really showcase the wares for visitors. The lighting and layout of the Chloé Boutique accomplishes this art of simplicity well. I’m hoping to return to Las Vegas for another assignment soon as the architecture and interior design found there is some of the most interesting in the world. The life of a person involved with retail interior photography is rich with possible targets. Now back in Southern California, I was able to stop at another boutique to capture amazing images of another stunning shop on the famous Rodeo Drive. TUMI is an international 37-year-old suitcase company offering an assortment of high-end luggage. This Flagship boutique is located on Rodeo Drive in Beverly Hills, the fashion and trend-lover’s paradise. Rodeo Drive has flagship locations for some of the most prestigious brands and is also a home of the single most expensive store in the world, Bijan. I’ll hopefully get to take photos of Bijan in the near future. The 2,000 sq. ft. location marks the debut of a modern new store design with its white metal exterior and glass band LED illumination. The 18 ft. high ceilings with skylights create a luminous and spacious environment that is conducive to travel accessories. While my previous boutique shoot featured an elegantly simple design, TUMI is strikingly the opposite approach. This multilevel establishment offers towering space to showcase the assortment of top-of-the-line travel gear. I would imagine that even in a place that carries the most exclusive brands of luggage, there aren’t that many different styles of bags – a point that begs for more daring design in the store to offer shoppers a unique experience. TUMI’s footprint is expansive and grand; the high ceilings are topped by creative molding and architecture. The lighting was one again such that shooting the interior scenes was nearly effortless. What I tried to reveal in the photographs was a shop that went to literally great lengths to provide the perfect backdrop for the expensive baggage on display. I’d say the designers met their mark. Interior design photographers relish the chance to target spaces that are exciting and different. TUMI is one place where the design offers a professional photographer a wealth of options when shooting the scene.